This week, the spotlight is on Mishelle Handy Cakes and By Invitation Only, both of Oklahoma City. 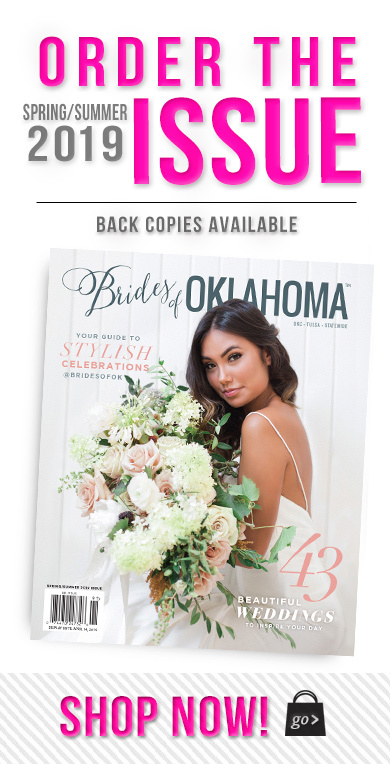 Check out the feature editorial, Paper & Frosting on pages 148 and 149 in the Spring/Summer issue of Brides of Oklahoma Magazine. This hot pink hue paired with lime green is simply adorable. After providing the designers with a little inspiration we were completely blown away by what they created! This pairing marries elegance and fun. The regal pops of gold compliment the fun, vibrant pink. This three-tiered cake, created by Mishelle at Mishelle Handy Cakes is a show stopper! 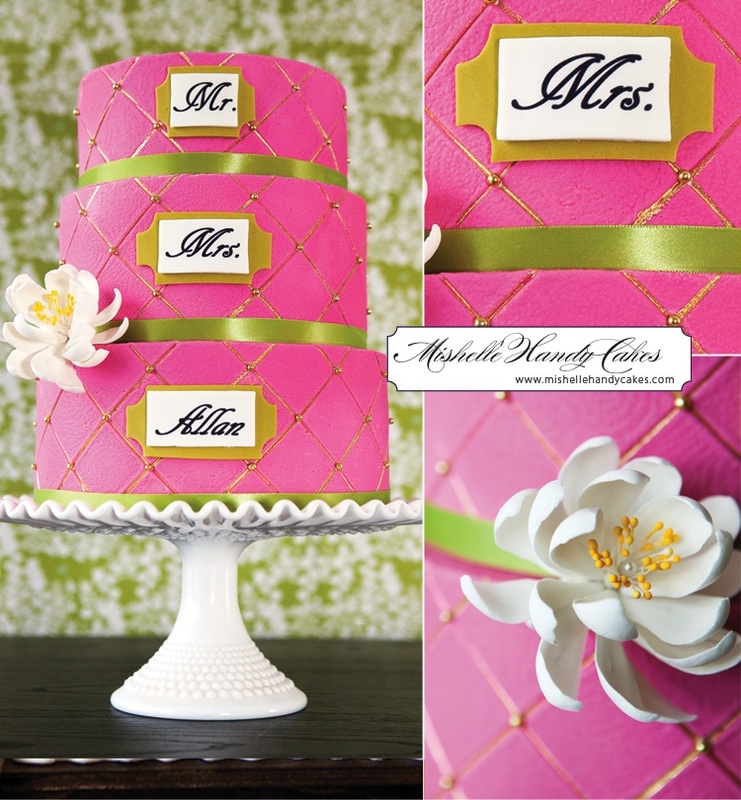 We just love the bright white floral detail made of sugar! The sweet writing on the front of the cake references the couple, and adds the perfect personal touch. These custom invites from By Invitation Only are the perfect way to set the tone. 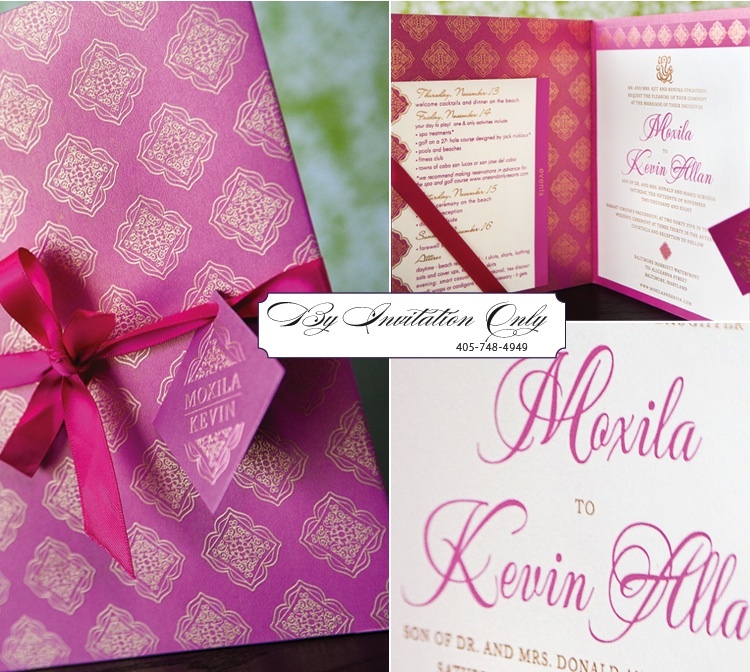 The pink stain ribbon and gold embossed lettering are totally fab! 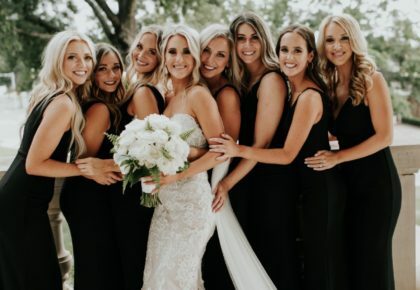 These images were captured by Tara Lokey Photography. 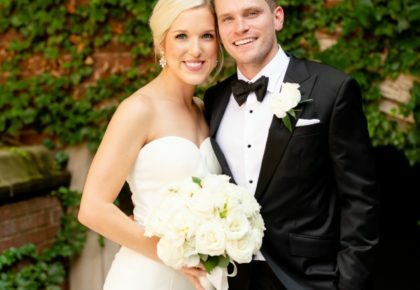 Stay tuned each week as we share more good stuff and turn the spotlight on other fabulous Oklahoma wedding pros who made the magazine beautiful! 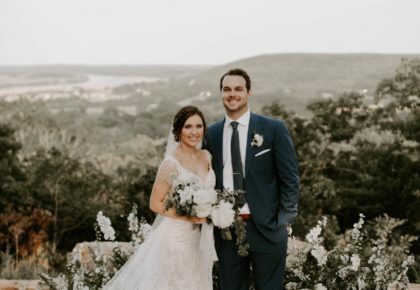 « Previous Post: Announce Your Wedding/Engagement!